A community is in mourning after a fire ripped through a mobile home in San Jose on Tuesday, killing a man and two young girls. Marianne Favro reports. A community is in mourning after a fire ripped through a mobile home in San Jose on Tuesday, killing a man and two elementary school girls, who were best friends. On Wednesday, people dropped off flowers at a growing memorial near the charred structure at Golden Wheel Park. Candles, plush toys and balloons honor the three victims and neighbors are seeking donations for their families. The parents of 10-year-old Linda Van, who was in the trailer when it went up in flames, are grappling with the unthinkable. 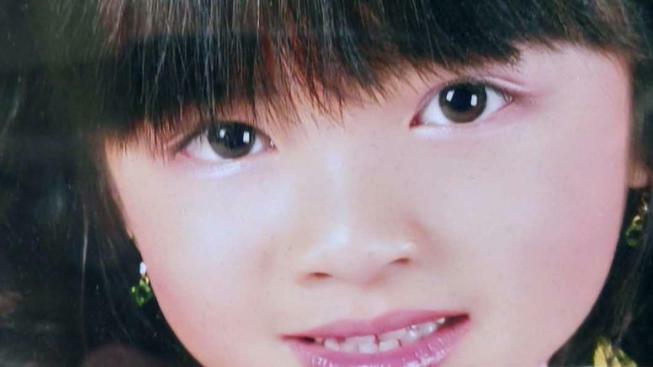 The child's older brother described her as a smart, funny girl who loved to ride her bike. She was supposed to start fifth grade on Thursday. "They were very happy children, very happy," said neighbor Jennie Aldama. "They put a smile on my face every time I walked by." A woman who said she was one of the daughters of the man who passed away at the scene was at the scene Wednesday afternoon, but declined to discuss the fire. A relative visiting the next-door neighbor of the now-gutted mobile home said an explosion appeared to spark the midday inferno that killed three people, including two children. Diep Vo was in the mobile home to the south of the trailer that caught on fire at the Golden Wheel Mobile Home Park at 900 Golden Wheel Park Drive, and was cooking when an explosion rocked the normally quiet neighborhood. Vo was able to hear the explosion and see the subsequent fire from her position in the adjacent mobile home. She said — via her nephew who translated — that a man in the mobile home opened the front door, walked outside engulfed in flames, and collapsed. Shocked by the explosion, she said she was frozen in place watching the fire unfold until a neighbor banged on her front door and told her to escape. She said she ran south towards the main office of the trailer park complex. Another neighbor, Phouc Mai, said neighbors came together to spray water on the mobile home to the north of the fire. He felt if they hadn't done that, it could have gone up in flames as well. Arson investigators on Wednesday were joined by representatives of the Bureau of Alcohol, Tobacco, Firearms and Explosives, all of whom were trying to determine what caused the deadly fire. An accelerant sniffing dog was also brought in to help. "The construction of a mobile home includes lots of lightweight plastics and metals so the acceleration is fairly quick," said San Jose fire spokesman Joshua Padron. Mobile home residents are encouraged to always be very careful when cooking and to make sure they have working smoke detectors, San Jose fire Capt. Mike Van Elgort said. In the event of a fire, residents should immediately evacuate the home instead of trying to put out the blaze. The Golden Wheel Park is no stranger to tragedy. Earlier this year, a winter storm-fueled flood tore through several mobile homes.